Panasonic is making some pretty exquisite massage chairs. They're breaking through some of the standards we've come to expect concerning the design functionality barrier in the industry, and the Panasonic EP-MA10 is no exception. A chair is billed by Panasonic as a contemporary lounger, which it is. But with the added benefit of the massage techniques we've come to know and love as traditional for a reason. They've stood the test of time. While innovation has taken place, the stalwart engineering and ancient technique remain. 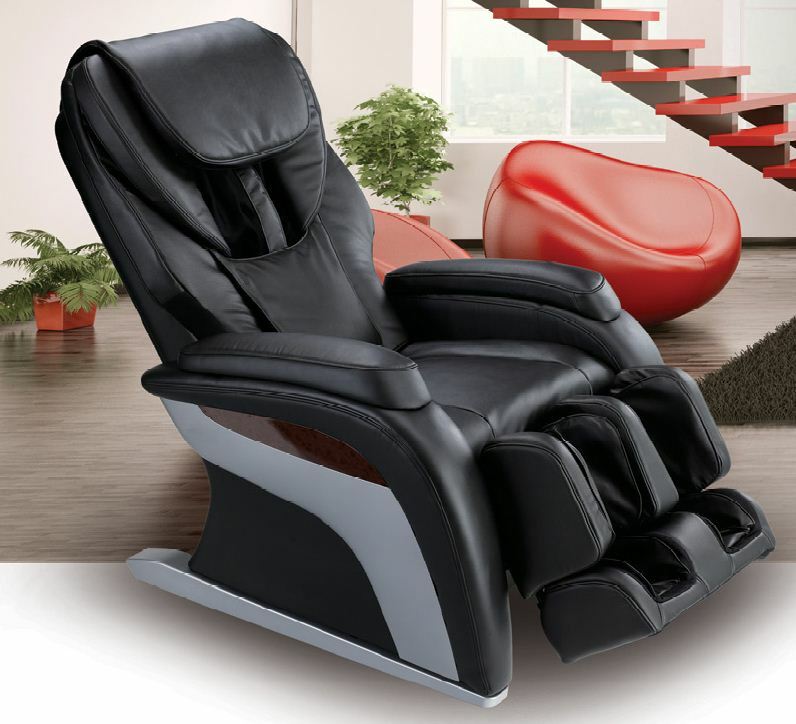 When you think Panasonic massage chair, you might think of more along the lines of either stodgy or so high tech that you're bound to sacrifice the sleek looks you find in the modern lounger class. Think again. 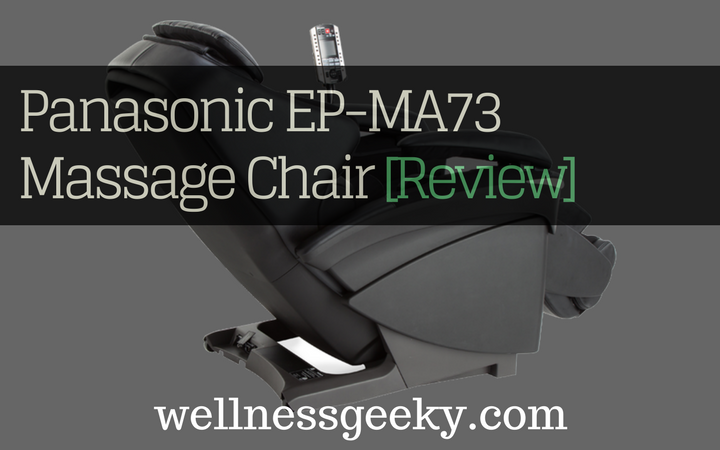 The EP-MA10, among others in the Urban Collection, is comfortable, utilizes the latest massage technology (engineering quality we've come to expect from the Panasonic brand), and competes in looks with any of the high-end brands offering a full body massage chair. Many of the massage chairs you try out these days feel somewhat sterile about the rollers and material. Sure, we all love to grab a massage at the airport, mall, or even day spa, and these chairs are lovely for what they are. They massage, and it usually, unless it's low quality, delivers a massage that feels pretty darn good. But when you get serious enough to consider one in your home, one you will spend good money on and that you'll have for years to come, you want quality and luxury above all else. You want a deep, penetrating massage to come home to after a long day or to start you out first thing in the morning. You want a massage that transforms you, leaving you feeling fully relaxed, body nimble, and mind at rest. We're talking serious business here. 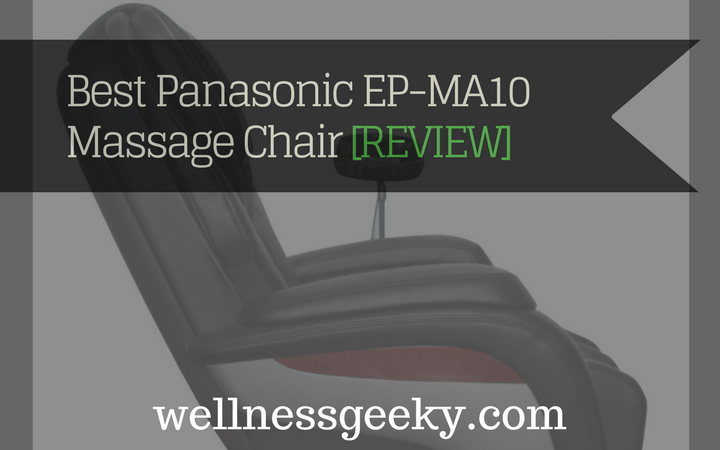 The EP-MA10 is based on ancient Chinese massage techniques and traditional massage therapy, and once you have a seat, you will understand. Lots of chairs promise the ability to massage your whole body, and this makes good on that promise. You will indeed feel your entire body and mind melt, achieving complete relaxation, pain relief, and calmness. You might get other benefits as well. Research has shown massage benefits myriad problems from physical diseases such as cancer to psychological conditions, such as anxiety. You can adjust the chair to your height, so the rollers hit you precisely in the right spots where you need it - deep into the tissue of your muscles and along your spine. This is very good for knots or tight muscles because you want to make sure the rollers are lined up and don't hit your bones. Working out the stress from work or a tired back from standing never felt so good. The body areas are well dispersed and evenly attended to in this chair, so there's no singular focus predominantly on the back. 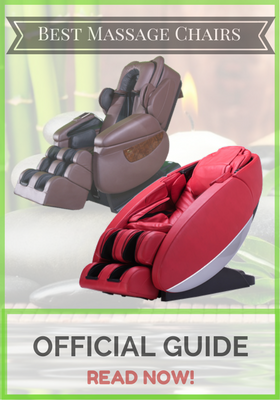 I love the neck massage in particular because in addition to just the basic kneading and rolling that you find in so many models, you can use the neck shiatsu and neck knead options, which are pure pleasure. If you have tight or sore neck muscles, or you suffer from headaches and get relief from neck massage, you'll never want to get up. Those hard-to-reach places deep within the back of the neck that trigger tension relief are easily accessed, and you will feel decompression and relaxation within minutes. I'm all about the head, neck, and lower legs, which is why I enjoy not only the neck massaging capabilities, but also the ottoman, which has 14 airbags that work miracles on your calves and legs. Compression massage on your lower body is deceptively good for your whole body. You won't believe how much better you'll feel when you receive this lower leg massage. It's transformative. You might fall asleep, but if you're lucky, you'll do one better: you'll float. Even though I'm big on the poles of the body, I'd be lying if I didn't say I also love a good, deep tissue back massage. This is a chair, for crying out loud, and let's face it, the benefits are all over the map. But the back is what it's mostly about for most people, and if I've failed to mention it so far, let me say that this is called luxury spinal. No lie. Lots of chairs work on an s-track system, but this is where, in this chair, those ancient massage techniques show their colors. Your back will be so relieved of stress, tension, and pain that you'll practically trip over yourself to get into this thing at the end of the day. It is heaven sent. The rollers penetrate the pressure points in your neck and back that relieve tension and provide you with a sense of well-being. These pressure points, when massaged, also increase your circulation, so you don't just feel massaged. You feel your senses heightened and your mind refreshed. It's like a car wash for your brain. All those thoughts swirling around in there that are stressing you out, just melt away. It's meditation in a massage chair. The spinal massage. You find more traditional track system massage techniques in the majority of chairs. This pressure point massage is amazingly relaxing and provides ultimate pain relief. It’s nicely designed. It’s modern and sleek and doesn’t look clunky or bulky. High quality. It’s crafted well and built to last. If you prefer rollers over-compression for your feet, you’ll be disappointed. You only get airbag massage. There’s no heat. Heat would add a great deal, especially for circulation. For the money, you get fewer features than you do from other chairs in this class. Particularly with a foot massage. You would expect rollers and reflexology in this chair, but the tradeoff is the spinal massage. If you want the heat, you might consider stepping up to the best in class Panasonic EP-MA73KU Real Pro Ultra Prestige. This top of the line model delivers quite a few more super luxurious features. Heat included, in case you hadn't caught that that is, unfortunately, lacking from the EP-MA10. The EP-MA73KU uses thermal massage rollers that operate in many directions and generate heat. This is outstanding for tight muscles in your shoulders, neck, and back. It feels like the warmth from a masseuse's hands on your body, and you're being massaged in more directions than just back and forth along your spine or neck. You get the same type of thing for your feet, which is a big step up from the compression airbag only. And if you feel about hands and arms the way I do about head, neck, and calves, you will want to go big. The arm and hand massage is stellar. 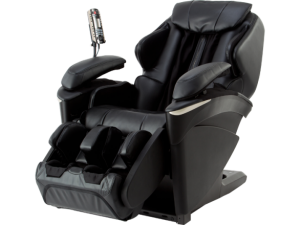 You'll feel the total decompression travel down your shoulders, and back from the fantastic hand massage this chair delivers. You can get the EP-MA10 as well as the luxurious big brother from a certified Panasonic dealer. And whichever model you choose, you will be well on your way to a healthier, more relaxed and revitalized you. The mind and body benefits are pretty hard to beat for the investment.